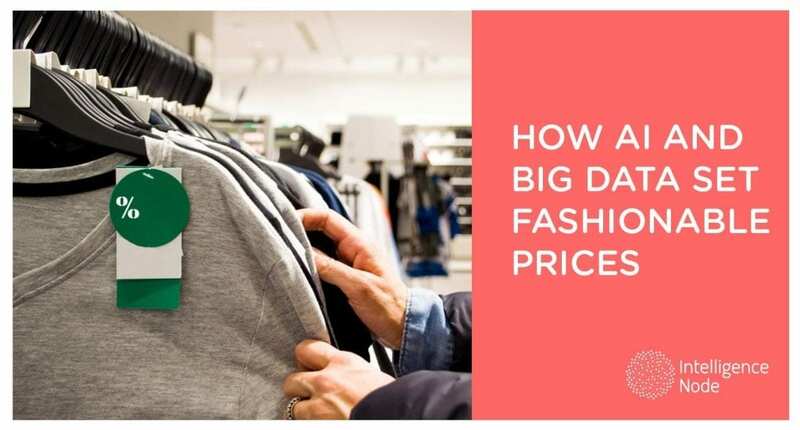 How AI and Big Data set fashion prices that fit ! As fashion gets faster and more global, it’s also getting more complex and competitive. Many apparel retailers and brands struggle with decisions about which numbers to put on their price tags to ensure they attract enough consumers willing to pay while protecting their brand reputation and profit margins. 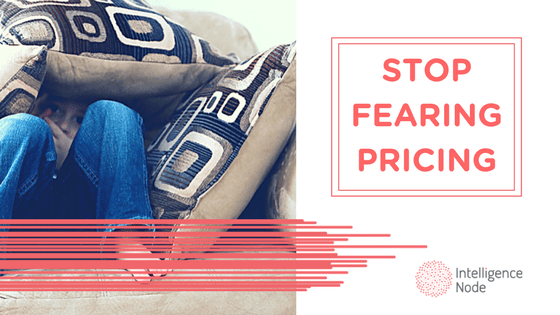 Let’s look at how today’s most successful fashion businesses determine how to set their prices. Supply chain efficiency, speed and agility impact pricing. Fast fashion icons Zara and H&M are the world’s two largest fashion retailers. Strategic decisions – like whether H&M should move manufacturing facilities to Turkey to decrease speed to market for European markets – can influence operational costs, which in turn influence the price of an item. Meanwhile, British ultra-fast fashion retailers ASOS and Boohoo sell apparel online, so they keep their operational expenses down due to a deliberate lack of physical stores and associated overhead costs. As pure play e-commerce brands, they have access to abundant consumer data analytics, which they can use to deliver the best new trends faster than rivals. ASOS and Boohoo make small quantities of a wide array of trendy, in-demand clothing and their time to market on new designs is only 2-3 weeks – half the time of Zara and H&M. Also, ASOS has an edge for the average order value, as the average price of clothing on ASOS is £25 ($32 US), compared to £13 ($17 US) on Boohoo. Supply chain efficiency can streamline retail processes and minimize costs, which can have a positive trickle-down effect that allows fashion companies to pass savings along to shoppers in the form of lower, competitive prices. To stay competitive online where rivals’ offerings are only one click away, some fashion companies turn to artificial intelligence (AI) to automatically adjust the price of apparel items on Amazon with Amazon repricer software. Given that prices on Amazon can fluctuate every 15 minutes, so Amazon repricers scan the global e-commerce market for competitive, real-time pricing data and can update fashion prices every 10 seconds to deliver optimal pricing. With Black Friday and Cyber Monday coming up fast, Amazon repricers can predict how much the price of popular and seasonal goods, such as ski jackets, will rise as consumers stock up on great deals ahead of the first major snowfall. For the upcoming sales holidays, Amazon repricers can help you with promotional pricing, discounts and limited time offers to boost online conversions and sales. Our own 360°Pricing Amazon repricer solution uses big data insights and AI to offer frequent price updates, predictive pricing, and exact and similar product matching of other products across the competitive landscape, to optimize your prices in real-time on Amazon. To determine which items to stock – and at what prices – to maximize profitability requires both assortment optimization and price optimization. Reducing the number of products sold can make room for more profitable products by increasing incremental revenue and profitability. Creating an in-demand assortment with the right combination of products at the right price involves knowing which products add or drop to achieve business targets. That’s why it’s essential to examine the entire fashion market landscape, including competitors, to know how your assortment stands out. Removing the least important products from your assortment could increase total revenue because “wide assortments with poorly set prices mean that customers are no longer willing to trade up to more expensive options. More brands turning to comprehensive retail data insights to optimize their assortment of brands, styles, and inventory quantities, all customized for their different markets. Our InCompetitor product helps retailers and brands gain real-time competitive intelligence to simplify price optimization, so you can spot market trends faster and maximize profit margins with data-driven recommendations for price estimates. In summary, fashion brands have many ways to develop their pricing strategy, just like as a fashionistas has different outfits for different moods. 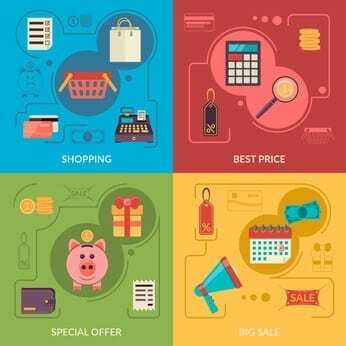 As McKinsey explains, by optimizing the number of price points retailers use and ensuring their assortment strategy aligns with their pricing, retailers could boost their incremental gross margin. Look to rivals’ data to make strategic pricing decisions. The bottom line for fashion brands: Know where you stand so you know what to charge. If you found this useful and you’d like to learn how to take your pricing strategy to the next level, Download our ebook : 20 Secrets to Designing the Best Pricing Strategy. Bain, Marc. A new generation of even faster fashion is leaving H&M and Zara in the dust. Quartz. April 6, 2017. Wright, Natasha. The Rise of Fast Fashion: High Street vs Online Fashion Retailers. July 18, 2018. Brown, Kristen V. How to not get screwed on Amazon. Splinter. October 6, 2016. Hartnell, Ted. Assortment Optimization … and the “Long Tail” Myth. LinkedIn. February 9, 2017. Goodin, Chris, Sophie Marchessou, Sari Poage and Jennifer Schmidt. Pricing fashion with science. McKinsey & Company. November 2014.